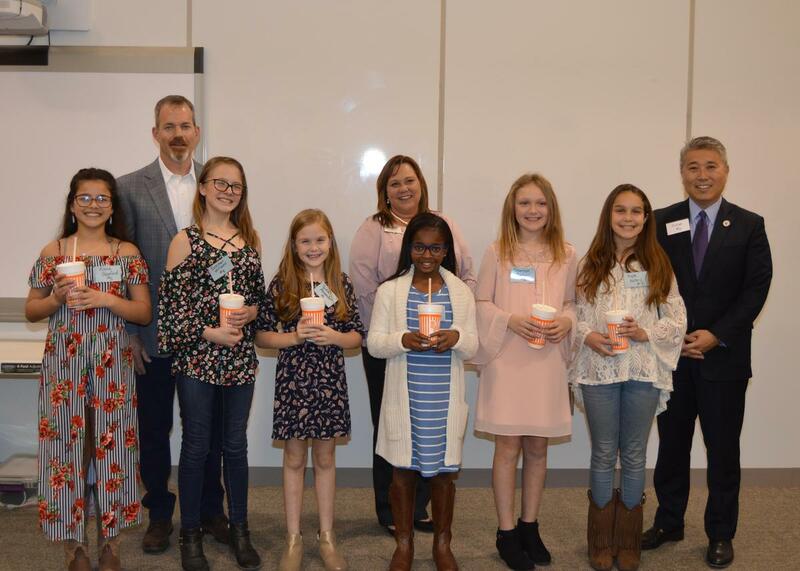 For five years now, Comal ISD has been hosting an event known as the “Comal Shake,” and while milkshakes have become a part of this annual event, they aren’t the only prize for which students strive. The Comal Shake is an opportunity for elementary students to compete for the “Best Shake.” Students shake hands, introduce themselves and have a conversation with adult judges to show off their interpersonal skills. Each year, Comal ISD elementary campuses host a campus-wide competition at the beginning of the school year to select two representatives to compete in the Semifinals. Candidates are evaluated on their handshake, confidence, voice, conversational skills and overall success. The top six out of 32 students move on from the Semifinals to the Comal Shake Champions. This year, judges for the Championship Round included Superintendent Andrew Kim and CISD Board of Trustees Michelle Ross and Tim Hennessee. Student representation came from Garden Ridge, Arlon Seay, Indian Springs, Timberwood Park and Mountain Valley Elementary Schools. Students once again showed off their interpersonal skills, impressing each of the three judges and making for tough competition. 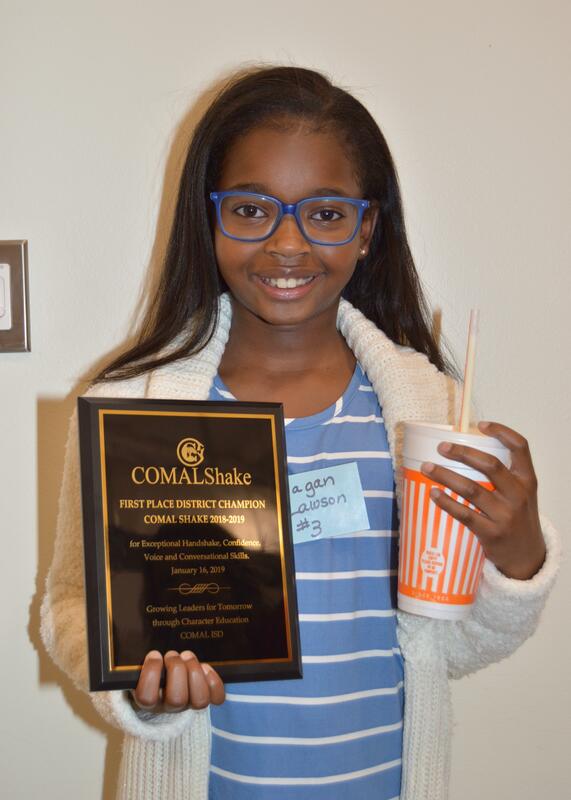 Ultimately Reagan Lawson, a fifth-grade student from Indian Springs ES, was selected as this year’s Comal Shake Champion. In Photo: Alana Stanford (GRES), Tim Hennessee, Summer Williams (ASES), Sadie Alexander (ISES), Michelle Ross, Reagan Lawson (ISES), Emersyn Siebert (TPES), Hope Kelley (MVES), and Andrew Kim.